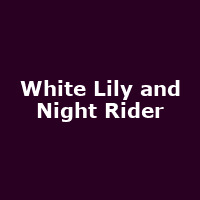 "White Lily & Night Rider is a window into relationships in today's digital world. Under the pseudonyms White Lily and Night Rider, two 30-something singles build irresistible identities and fall in love. But when they decide to take their relationship to the next level and meet face-to-face, things don't exactly go as planned. The play uses humour to highlight the disparity between the real and online personalities that often leads to mismatched expectations. An out-and-out audience entertainer, it also leaves you with an insight into relationships in today's society." The 2017 Indigo at the O2 show features Sonali Kulkarni and Milind Phatak.